On our menu this week is BBQ Chicken Pizza.. i thought i would be fun to give you guys the recipe, so you could have some of this yummy goodness at your house! 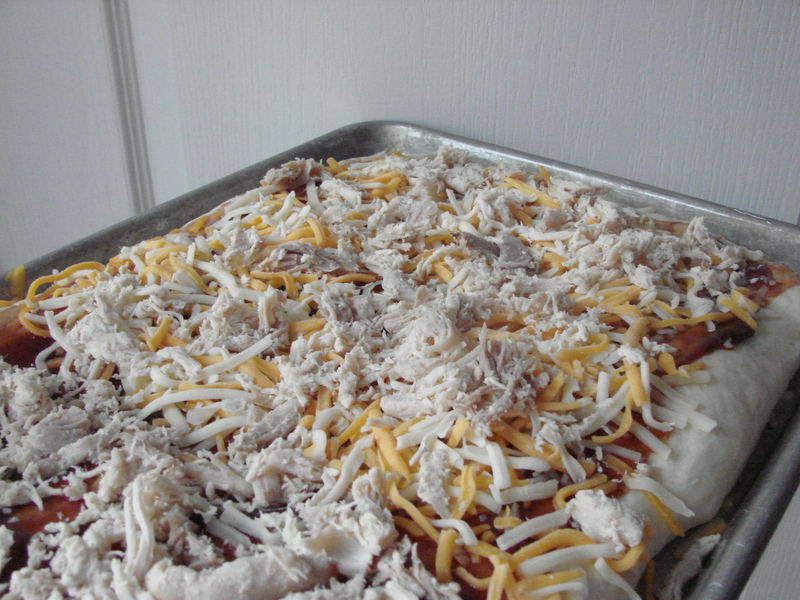 set on dough cycle.. when done spray cookie sheet ..roll out ..let rise again about 40 mins..place in oven for about 10 mins to cook the crust just a bit..(@350) brush with bbq sauce top with shredded chicken and cheese..cook additional 15-20 mins …………..YUMMY! *please know the recipe for the dough was pulled from the internet about 4 years ago.. WAY before i knew about linking back or saving the source.. PLEASE if this recipe is yours let me know and i will HAPPILY link up to you! What did you make yummy this week?? One of my favorite pizzas to make!!! Not sure if your kids will eat it…..but cilantro and red onions make this pizza amazing!!! You can skip the onions….but add the cilantro! SO yummy!